Rochford & Southend-On-Sea, like many other parts of the country has an ageing population whose needs are not fully met by the current dispersal of housing, social care and medical facilities. People may feel isolated and disconnected from key services and the larger community. Housing provision through the conventional private market targets specific market segments for first time buyers, apartments for young couples, executive and family homes and retirement villages. People may prefer to remain active in later years; opportunities for both formal employment and voluntary work can be made more accessible. Research suggests that creating opportunities for young and old to mix can have mutually beneficial synergies. 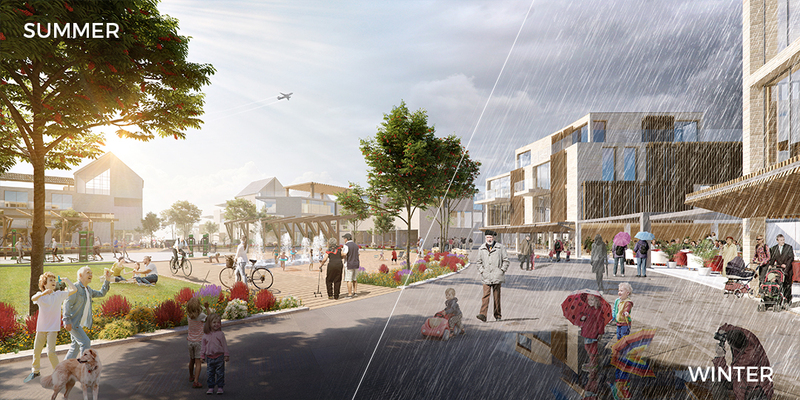 This proposal brings together a spectrum of needs and seeks to be a destination at the northern edge of Southend-On-Sea in a high quality urban design led development. The project is designed to provide a vibrant environment that provides opportunity for social participation and community support. It includes a mix of uses includes health facilities, flexible working areas, outdoor spaces and buildings, and a variety of amenities. 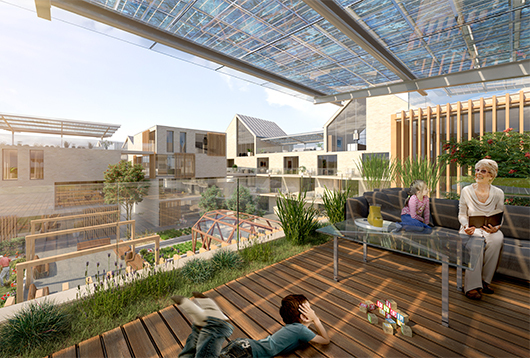 The project utilises urban planning strategies for place-making to encourage inclusion rather than exclusion, by creating a range of private and public external spaces, providing a new model for outside-inside life with shared interior rooftop spaces, internal courtyards and large semi-public community gardens. 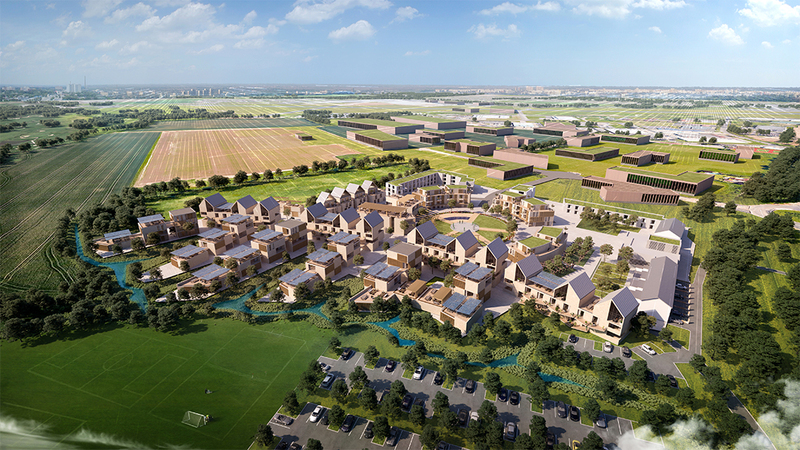 The centre of the development, the village green functions as the civic heart, designed to vary with the four seasons with opportunity for an overlapping programme of uses both within and outside the buildings.